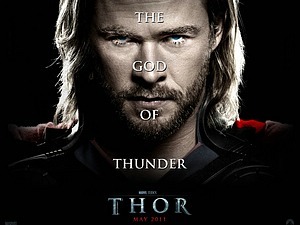 Logline: Thor, a powerful but arrogant warrior, is banished to Earth when his reckless actions reignite an ancient war. When the most dangerous villain of his world sends its darkest forces to invade Earth, Thor learns what it takes to be a true hero. Thor is a 2011 American superhero film based on the comic book character of the same name published by Marvel Comics. It is the fourth film released as part of the Marvel Cinematic Universe. Director Sam Raimi first developed the concept of a film adaptation of Thor in 2001, but soon abandoned the project, leaving it in "development hell" for several years. During this time, the rights were picked up by various film studios until Marvel Studios signed Mark Protosevich to develop the project in 2006, and the project was set up at Paramount Pictures. Matthew Vaughn was originally assigned to direct the film for a tentative 2010 release. However, after Vaughn was released from his holding deal in 2008, Branagh was approached and the film's release was rescheduled into 2011. The main characters were cast in 2009, and principal photography took place in California and New Mexico from January to May 2010. The film was converted to 3D in post-production.